LIMITED TIME.... buy 1, get one free! (and FREE shipping) share grace with a friend. Sunny In Georgia's "grace upon grace" tee shirt. This black cotton women's tee is screenprinted with soft ink. 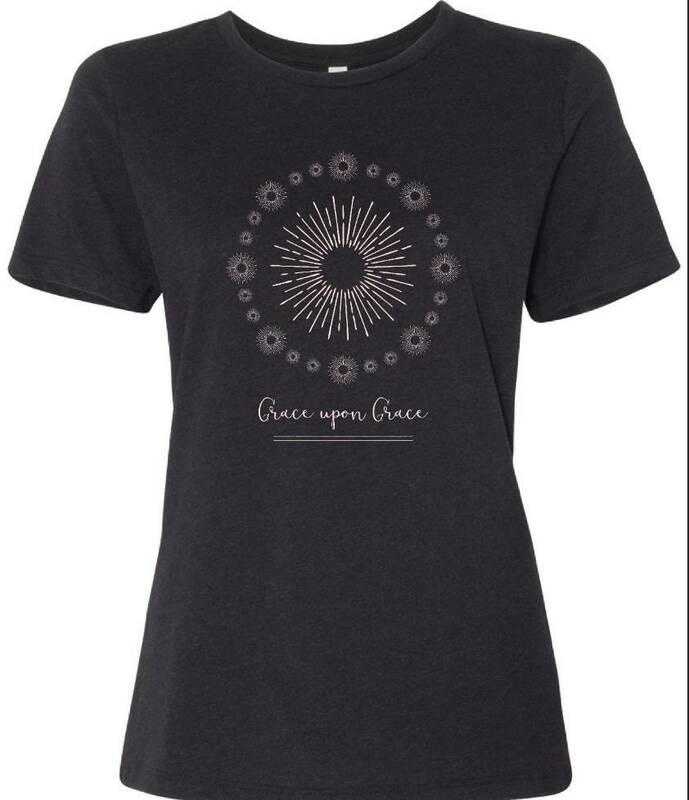 The number 25 represents Grace in the Bible, and there are 25 suns printed on this tee. I would recommend sizing up a size.